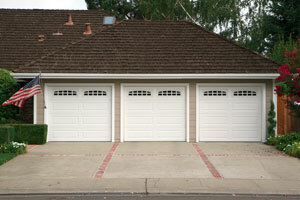 Does your Oklahoma City, OK, home need a new garage door? Could it use additional attic insulation? Or, maybe you’re finally ready to install the marble countertops you’ve wanted for so long? No matter your home improvement needs, you can count on the professionals at 31-W Insulation. We provide home remodeling services for virtually every area of the home and are 100 percent committed to performing each and every one of these services with incredible attention to detail. So, rather than hire a different contractor to install your new garage door, tackle your attic insulation project, and to satisfy each of your other home improvement needs, turn to 31-W Insulation for one-stop shopping of top-notch workmanship and customer service that’s second to none. To learn more about the services we provide for homeowners in Oklahoma City, OK, and surrounding areas, contact us today. We’ll gladly visit your home to provide a complimentary consultation and no-obligation estimate for your new garage door, attic insulation, simulated stone siding, and any other home remodeling products you may need.